Date of publication: August 15 2016 . 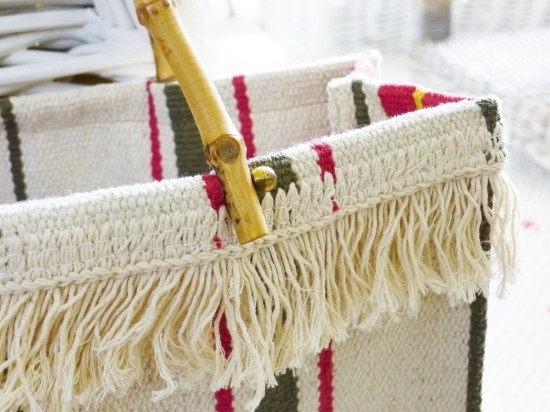 When a lint-free rug collection of Signe Not everyone comes into my head the idea to make it a merry old handbag. Today we are ready to share with you the idea. In addition to the mat and bamboo handles us to rework virtually nothing is required. Incidentally, Signe mats IKEA company produces in different colors, so that everyone can easily find the coloring to his liking. 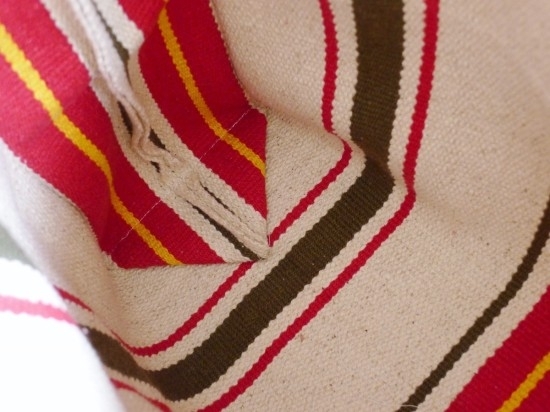 To attach a handle, we had to wrap the edges Signe rug and make the top of the next bag tightly. Thus, the handle will be held securely and in view of the bag will be more aesthetic. Then add up the mat so as to make the seam from the inside. Choose a thread tightly, still it is not an ordinary cloth. Most likely, you will have to sew bag-mat manually, as the fabric is too dense for the ordinary household sewing machine. Sew the bag from the inside, and then turn it to the "right" side. The photo shows how to perfectly fold Signe mat, pay special attention to the shape of the inner corners. 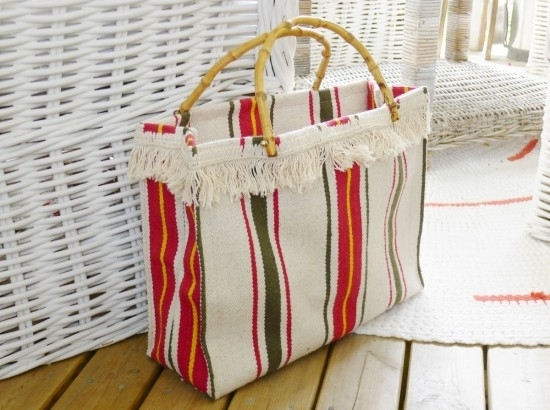 Not bad will strengthen the upper edges of the bag special rods, extending them through the wrapped edges, thus handbag It will take the form of a quality product and will hold the shape better. From experience: to keep a tight top edge, you can further consolidate them by means of the invisible glue. 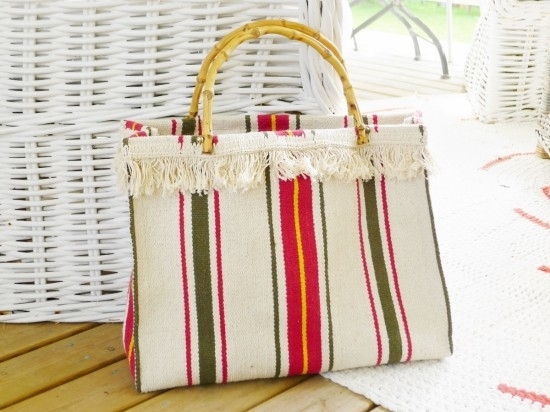 At the upper edge handbags Signe You can let a beautiful braid or fringe, this will give it more personality.